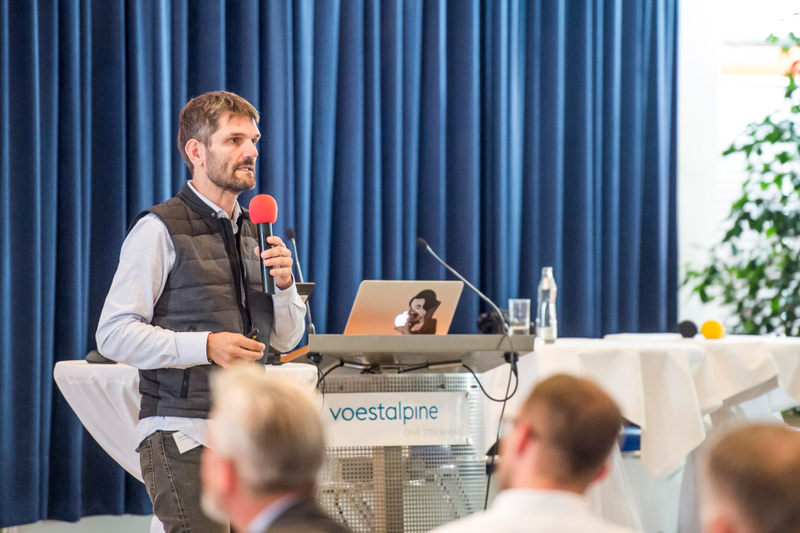 Mario Herger, author and trend researcher, was a guest at voestalpine Digitization Day. We wanted to know what culture he thinks is necessary for digitization and what opportunities and risks are associated with digitization. He is convinced that digitization requires us to think much further ahead—as he told us during the interview. Everyone is talking about digitization. Why? It’s very simple. Every aspect of our lives is dominated by digitization. We have computers at work and computers in our pockets—our smartphones. Digitization controls traffic lights. It is in our houses and in our cars. We are on Facebook and other social media. Digital is everywhere. For a long time, we thought it was just a triviality, marketing hype. But it turns out that it is THE central thing that will shape our future. And digital companies are very successful: Google, Apple, Uber, Tesla. It is therefore important that each and every industry understands digitization and actively undergoes a digital transformation—then it can benefit from digitization. How can voestalpine benefit from digitization? I will ask a simple question. What would happen if voestalpine no longer made money with its core business? What other expertise does it possess today that has not yet been monetized? There would be a real wow effect if you looked at that. If you look back at the first automotive revolution when cars replaced horse-drawn carriages, it was clear that the carriages would disappear as would the work in the stalls, etc. But new professions came about, for instance road construction. Instead of dirt paths, there was a demand for paved roads, and later asphalt roads. Today, a company like voestalpine has to be involved with such changes. What is happening in other industries, especially in those where voestalpine is not involved at all or only peripherally? You need to look beyond your own customers, beyond your own markets—that’s where you can get new ideas. How else can a company prepare for digitization? A company that wants to actively shape the digital transformation must acquire certain skills, i.e. prepare and train its employees and hire new talent. You need to have a culture that makes this digital transformation possible. I think that many traditional industrial companies—no matter how successful they are—have a problem: They are very good at what they do, but the world is changing and they don’t understand these changes, these digital transformations, well enough. Digitization is not something separate. It is not a side effect. It will be a central component of all that exists. You have to be open to it. Are innovative companies better prepared for digitization? Many companies when they hear the word “innovation” only think of technological innovation: We make better steel, a better diesel engine, a better cell phone. But in fact, innovation is possible at different levels, for instance in a business model. Take for example the freemium model from the software industry. We download an app for free and if we want to have the professional version, we have to pay for it. You can expand this thinking to other industries. 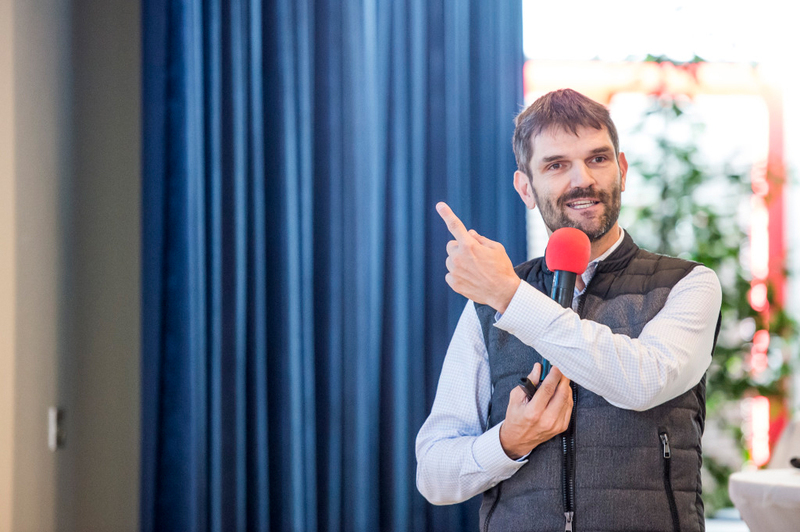 Imagine that voestalpine gives away its standard products for nothing—because through intelligent services, even smarter products, and valuable expertise, it will open up new sources of income that could generate more money than “simply” manufacturing and selling a piece of metal. What kind of company culture is necessary for the digital transformation? Culture is a conglomeration of many small behavior patterns—and that starts with each and every one of us and how we interact with each other every day. If for example an employee has an idea, then you shouldn’t respond with “No, I don’t have time for you.” Instead, you should say “Great, show me.” That is the only way to develop a breeding ground for ideas. You can see that the digital transformation is a task for all employees and not just for those in research, engineering, IT, or management. Of course. Management must create structures and ensure that it is possible to come up with ideas, talk about them, and promote them without judging them or shooting them down. Management must be a living example of this mindset. And you have to give people the time to develop ideas. These are the elements that are important. Without them, every transformation is doomed to fail. "Many ‘traditional’ companies are very good at what they do, but they don’t understand these changes, these digital transformations, well enough." 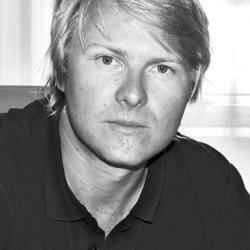 Mario Herger was born in Vienna and has been living in Silicon Valley for 16 years. His specialty fields are innovation consulting, creativity methods, gamification—motivation models in non-game contexts—and foresight mindset. He writes books, holds workshops, and gives presentations on these topics.